Critics and consumers alike have had a chance to try out the 2018 Toyota RAV4, and they’re equally impressed. U.S. News and World Report appreciates its “large cargo area for the class,” while Car and Driver lists its “spacious and well-built cabin” as an advantage. * In consumer reviews, it ranks among the top vehicles in its class. Find out more information at Savannah Toyota, serving Pooler and beyond. In Toyota RAV4 consumer reviews, this crossover SUV is a fan favorite. As of October 2018, it’s earned a 4.8 out of 5 score from consumers at Cars.com. According to them, 100% of drivers will recommend this car. * That kind of satisfaction is rare in any vehicle, let alone the competitive compact crossover class. 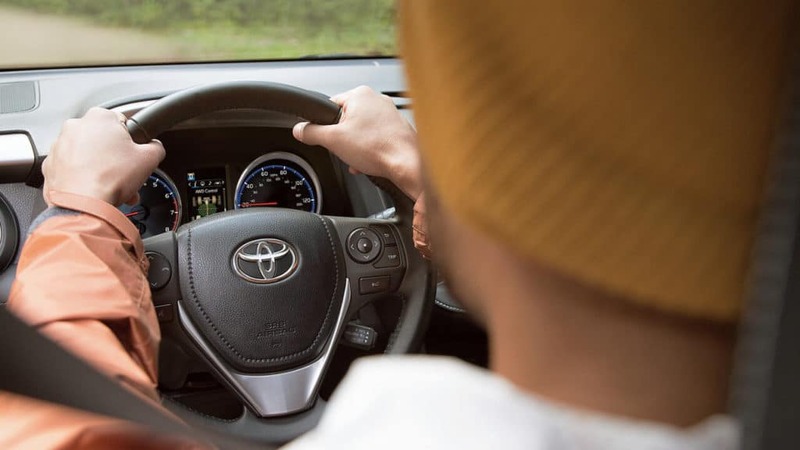 If you’re ready to try out a new or used Toyota RAV4 for yourself, visit Savannah Toyota. We’re located just a short drive from Hilton Head, so stop by and give it a test drive today! Wondering how the current 2019 Toyota RAV4 measures up? Compare it to the 2019 Honda CR-V to find out.